The movie star and adventure motorcyclist, Ewan McGregor, has announced he is auctioning his special white Moto Guzzi California Vintage motorcycle on eBay November 27, 2008 to raise money and awareness for UNICEF. The auction proceeds will go to UNICEF UK Children’s Emergency Fund. Ewan McGregor is an active ambassador for UNICEF in the UK and a real motorcycle enthusiast. He and Charley Boorman are actors, but are also well known for their “Long Way Round” and “Long Way Down” adventures. If you have not seen or read these, you absolutely must! You can pre-register now for the auction to take place from November 27, 2008 on eBay, and have a chance at this very special white version of Ewan’s California Vintage, which he personally rode from the Moto Guzzi factory at Lake Como in Italy, home to London. 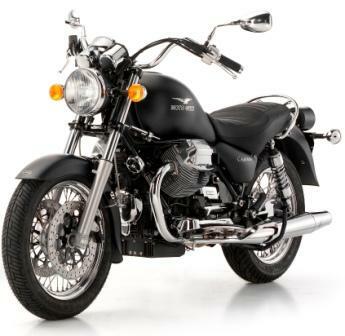 For those not familiar with Moto Guzzi California Vintage, the motorcycle normally is black. This special white version is certain to be a valuable motorcycle, and even more so in the future. For more information, visit UNICEF.org.